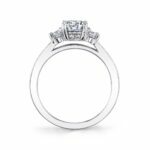 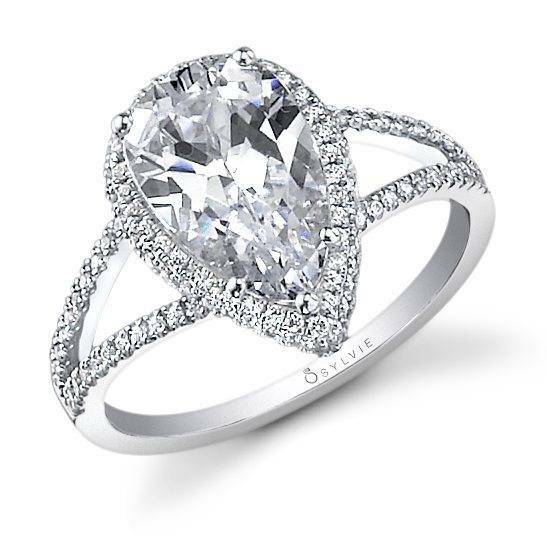 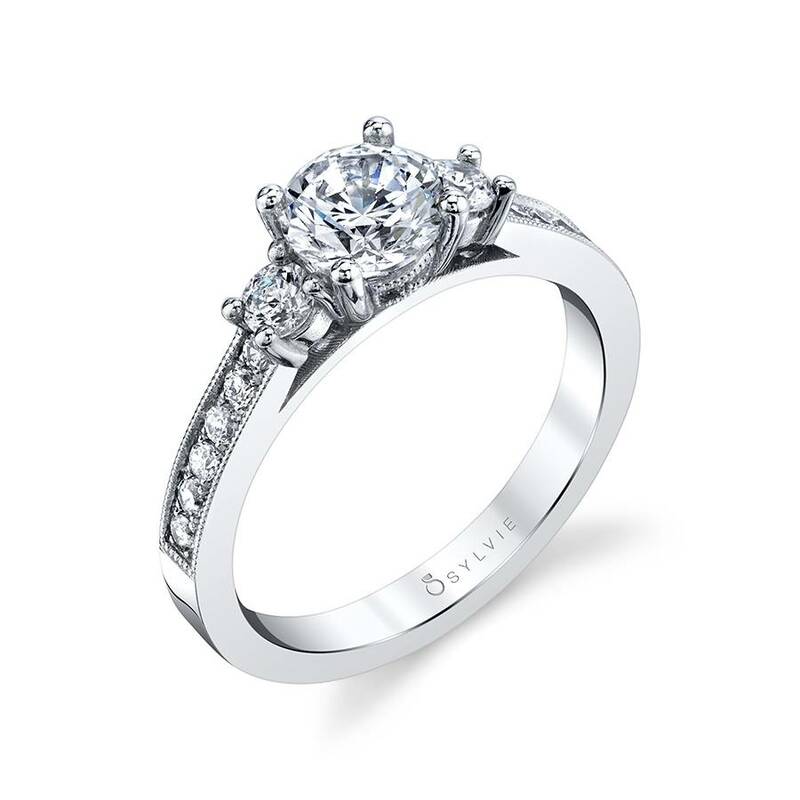 This elegant three-stone engagement ring features a beautiful round-brilliant diamond in a prong setting, accompanied by smaller diamonds on each side. 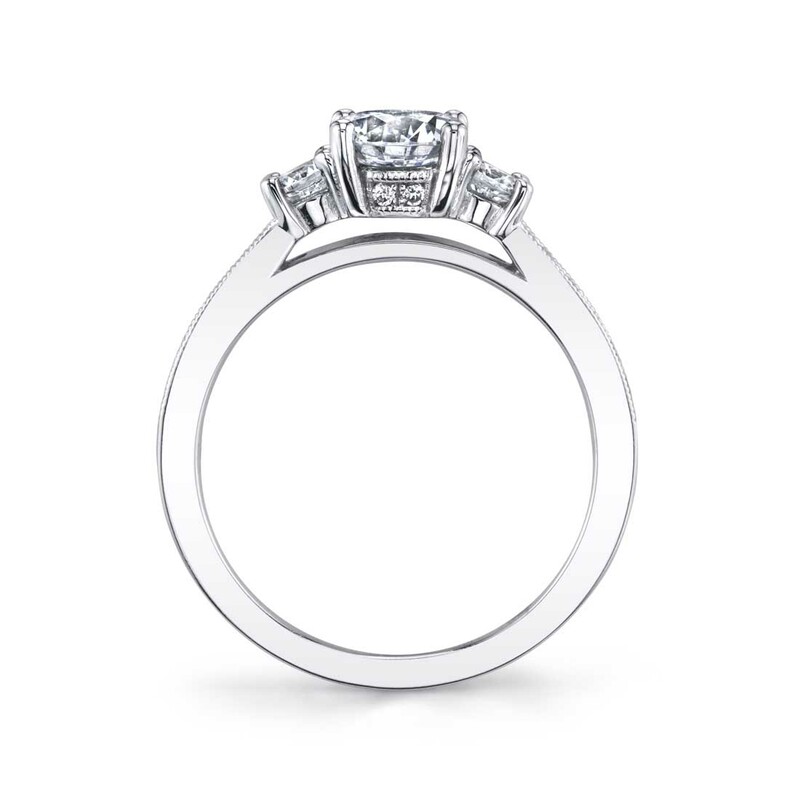 More shimmering diamonds cascading halfway down the shank with a milgrain border. The total weight is 0.38 carats.